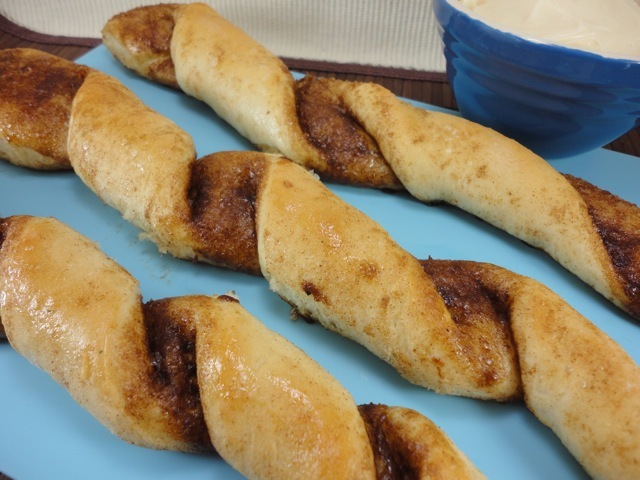 It's not too late to add these to your menu tomorrow for the big Football Game! I bet a lot of you are planning to make pizza, but you can't eat pizza without some regular breadsticks and dessert breadsticks to serve on the side. These are easy and they make a lot, so it will feed a lot of people. Plus you can use the same dough for both the regular and the dessert ones (and you can even use the dough for your pizza too)! While I was in Junior High and Highschool there was a pizza place around called Pizza Pipeline. They had the BEST EVER cinnamon sticks. Those are what started my cinnamon sticks obsession. No other pizza place around even comes close. I would go there and order a bag of cinnamon sticks and eat that for lunch or dinner (dinner of champions)! They came with a container of vanilla frosting to dip them in. I don't even know what their pizza tasted like, because I always ordered the regular breadsticks or the cinnamon sticks. I was so sad when they closed down. 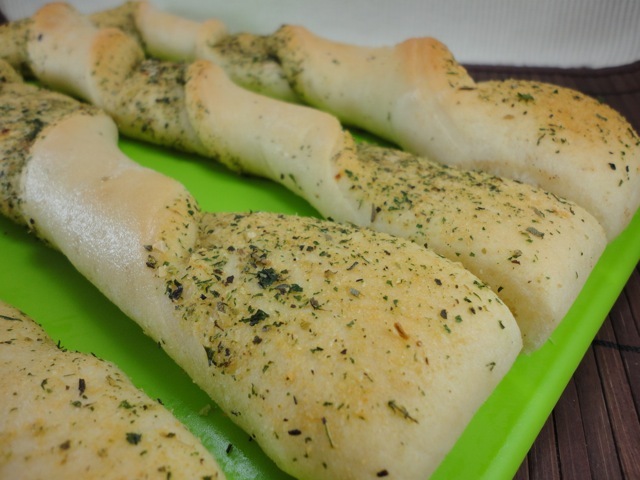 When I saw the picture of these breadsticks, they instantly reminded me of Pizza Pipeline's, because that is exactly what they looked like. Long, fat and twisted! These were delicious! The recipe was only for regular breadsticks, but of course I had to adapt it to make cinnamon ones. I can't eat pizza without cinnamon sticks! These are slightly more labor intensive than my Cinnastix Recipe, since you have to twist each one rather than just bake the whole thing. If you made me choose, I would pick my other recipe, but they really are both amazing and you can't go wrong with either one. The regular ones were yummy too, but you know me and my sweet tooth, so of course I'm gonna talk about the sweet ones! In the bowl of a stand mixer, dissolve the yeast in the warm water and sugar; let set for a few minutes until frothy and bubbly. If it doesn't get frothy, start over. Combine the flour and salt and gradually mix into the yeast mixture. Add enough flour until the dough pulls away from the sides of the bowl and stays in a ball. Allow to mix, using the dough hook, for about 5 minutes. 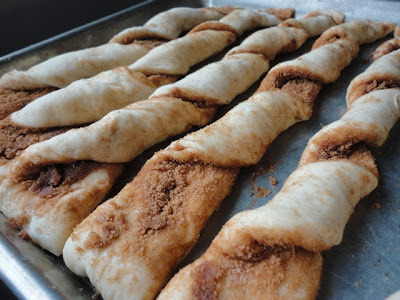 Divide the dough according to what you are making with it (breadsticks, cinnamon sticks or pizza - I divided it in half and used half for regular and half for cinnamon sticks). 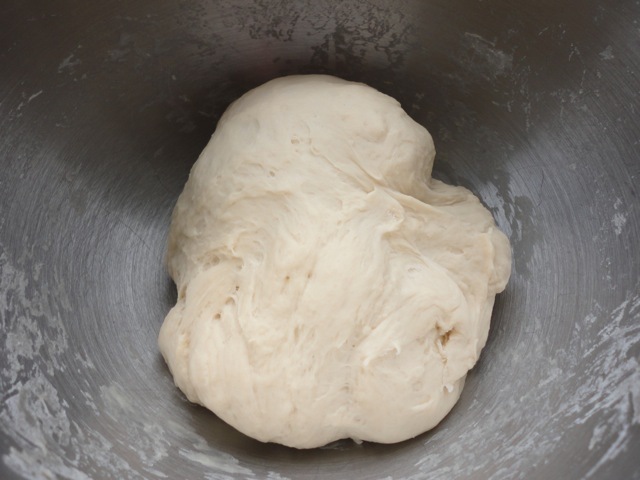 Very lightly flour your work surface and roll out each dough ball into a large rectangle. Brush with melted butter and sprinkle with desired toppings. 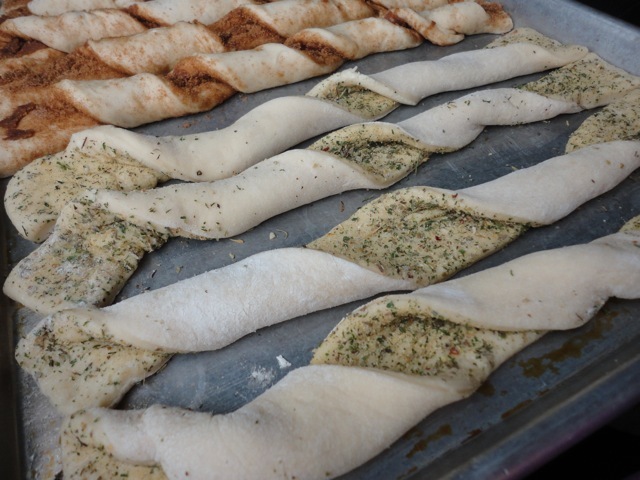 Using a pizza cutter, cut the dough into long strips. Take each strip and twist tightly or loosely (I did about 3 or 4 twists) - whichever you prefer into a long strip, the length of the sheet pan. Place twisted dough pieces onto a lightly greased cookie sheet. Let rise for 15 minutes or so before baking. Bake at 350 degrees for 15-20 minutes or until lightly golden brown. Once out of the oven, brush with butter, if desired. Full batch will yield around 20 large breadsticks. Combine above seasonings, according to desired taste. Sprinkle over dough that has been brushed with melted butter. 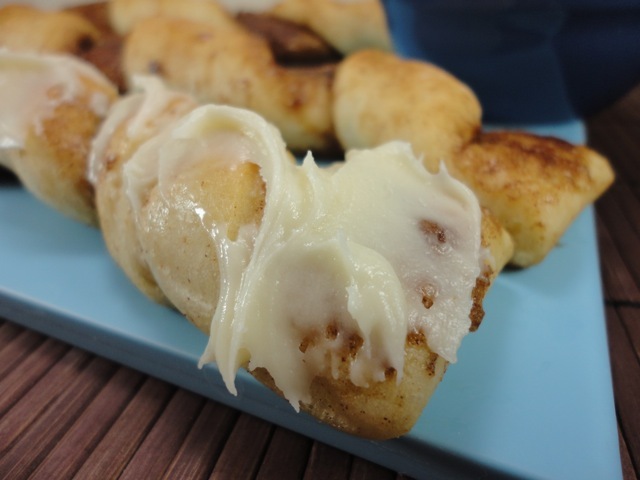 Combine above ingredients and sprinkle over dough that has been brushed with melted butter. Using a hand mixer, cream together the butter and cream cheese. Add the powdered sugar, vanilla and salt. Mix until smooth and combined. You can either spread this over the slightly cooled cinnamon sticks or serve it on the side for dipping. Jenn's Notes: I made a half a batch of the dough and used exactly 3 1/2 cups of flour. I made half regular and half cinnamon and got 10 breadsticks total. If you have major frosting lovers, like me, then you might want to make a little extra frosting. Both of these sticks look soooo good. I'm partial to the sweet side but I know that I love a few of the ones with the garlic topping as much as I'd love the cinnamon ones. 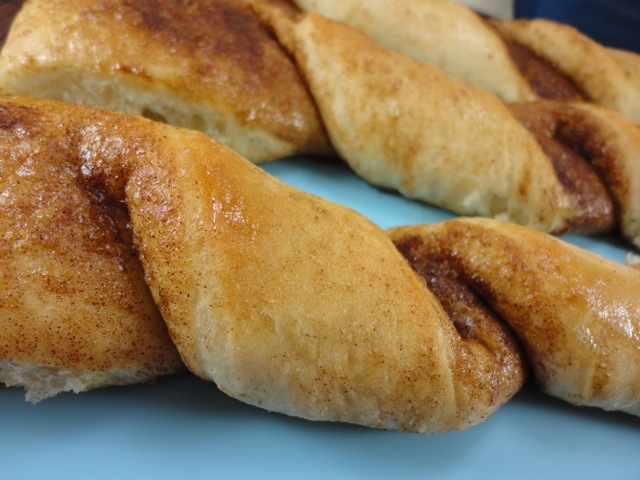 I found your blog through pinterest (TX Roadhouse copycat rolls) ... I've fallen in love with your blog! Keep up the great work, ma'am! it's like a meal and dessert! yum!! OMGosh these look heavenly, so much for the New Years resolutions! Oh great. 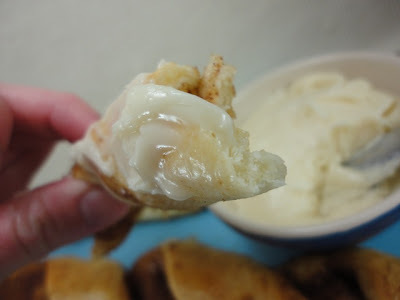 Another breadstick recipe for me to become addicted to! This looks really yummy! I look forward to trying this recipe!